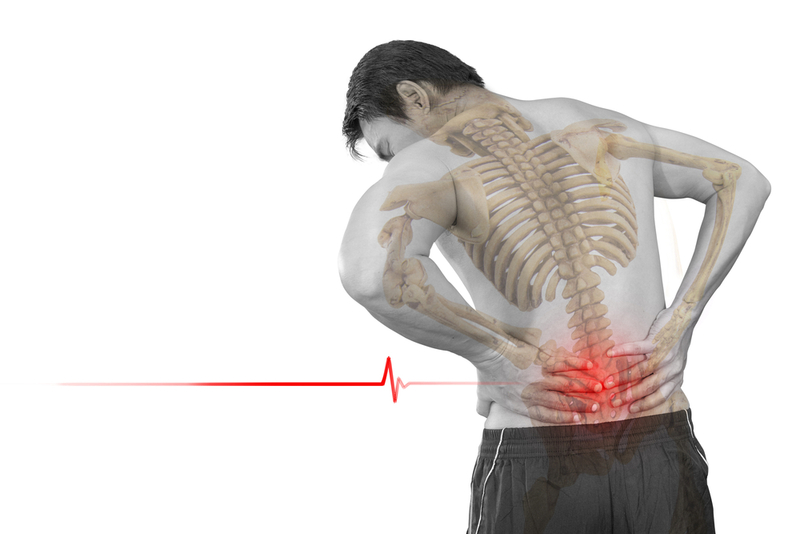 An estimated 31 million Americans will experience low back pain at one point or another during their lifetime. For some, this pain comes and goes while for others it is chronic and debilitating. Back pain is also the leading cause of American doctor visits. There are many different causes of low back pain, from a person’s musculoskeletal structure to lifestyle and unhealthy habits, such as poor posture. Furthermore, the jobs many people hold today keep us desk ridden, which is one of the leading causes of low back pain. For many people, there is no one single cure for low back pain, just as there is not a singular cause of the pain. Understanding the ‘why’ behind your lower back pain often takes patience and a great deal of trial and error. To find relief, you may need to try different things and see what works for you. While surgery and pain medications are certainly options, we like to think of these as the last resort. Physical therapy, chiropractic adjustments, lifestyle, and dietary changes, and exercise are just a few things you can do to treat low back pain naturally. It is important to keep in mind that these natural remedies will not make your back pain go away overnight, but if you are able to make changes long-term there’s a good chance your low back will slowly start to diminish. Whether you’ve sustained an injury that caused lower back pain, or you have a chronic problem that leaves you in pain, taking pain pills shouldn’t be the first thing you do. Low back pain is incredibly common, and more often than not very treatable through a series of changes, adjustments, and awareness. Remember, everyone is different and what works for one person may not necessarily be right for the next. Be patient and kind to yourself when trying to find the right natural remedies for your low back pain. Both massage and acupuncture are highly-effective treatments used in traditional Chinese medicine, which has been around for centuries. Depending on the root cause of your pain, massage and acupuncture can relax the muscles and ease chronic pain. If you are unsure of where your pain is stemming from, this could be a good place to start. When done in conjunction with stretching, deep breathing, and safe exercises, massage and acupuncture could be your ticket to relief. Yoga is one of the best ways to cure low back pain, but it is important to be forthcoming with your teacher. Check out a local studio or look into private lessons. If you find a teacher you like, tell them what you are experiencing, and they will be able to work with you to strengthen the muscles around the back and your core which are often areas of weakness that lead to pain. Yoga is also great for lower back pain relief because it incorporates stretching various muscles (like your hamstrings that are connected to your back) and deep breathing exercises to reduce stress and tension. Many people don’t realize the leading cause of lower back pain is actually diet. The foods we eat often lead to inflammation, which can lead to back pain or make your pain worse. Look for foods that lower inflammation, such as tomatoes, olive oil, nuts, fatty fish like salmon and tuna, and leafy greens. Head to your local natural health store and talk to someone there about the best herbs to reduce inflammation and help treat back pain. White willow bark, devil’s claw, turmeric, and bromelain are all known to reduce back pain for individuals. As always, discuss everything with your doctor before taking any new herbs or medications. There are also many different oils and ointments out there that can give you relief, such as Tiger balm, arnica, and CBD. If you’ve tried these natural remedies for back pain but have yet to experience relief, please contact us at Texas Partners Healthcare Group today to learn about how we can help you.